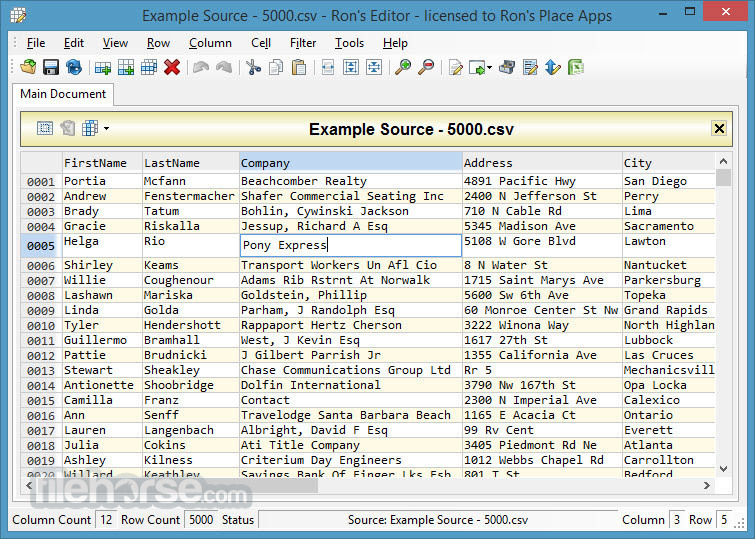 Ron's Editor is a powerful CSV file editor. 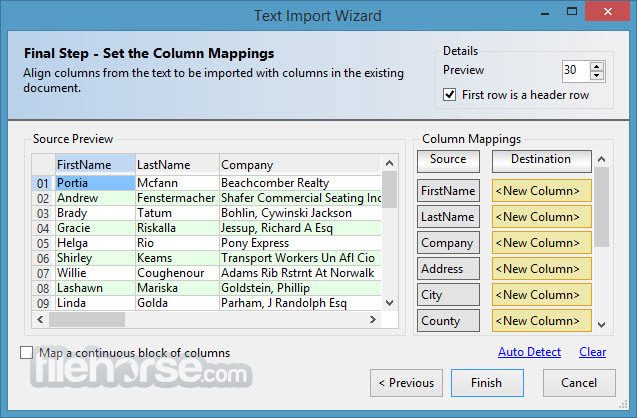 It can open any format of separated text, including the standard comma and tab separated files (CSV and TSV), and allows total control over their content and structure. 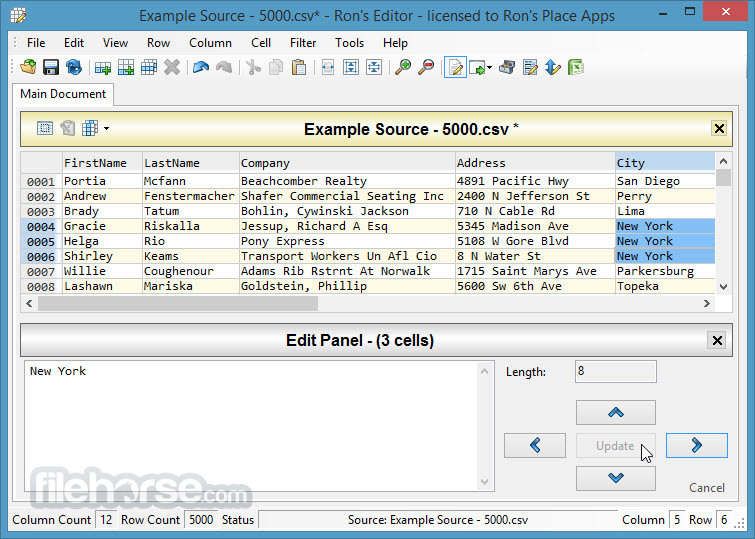 With a clean and neat interface Ron's Editor is also ideal to simply view and read CSV, or any text delimited, files. 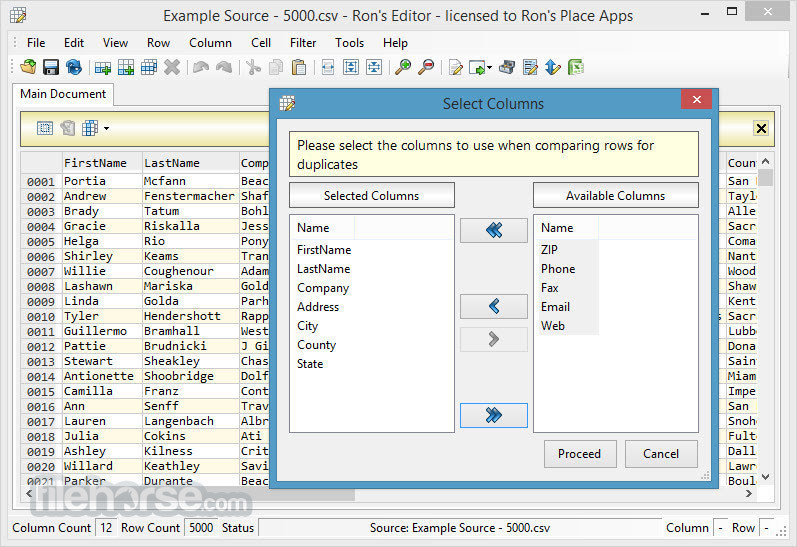 Ron's Editor is the ultimate CSV editor, whether you need to edit a CSV file, clean some data, or merge and convert to another format, this is the ideal solution for anyone who regularly works with CSV files. 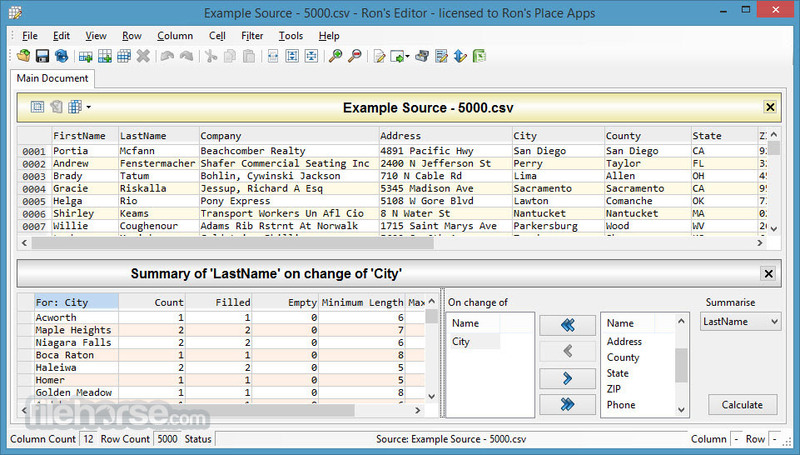 Note: 30 days trial version. Requires .NET Framework. Limited functionality.